Buildings defining architectural evolutions brought about by social change are becoming more difficult to find, except in older, multicultural cities where there has been great political disruption. This story is not about new architecture, it is about the changing function of older architecture; those buildings that have been renovated and renovated again, to infuse new meanings into old spaces. 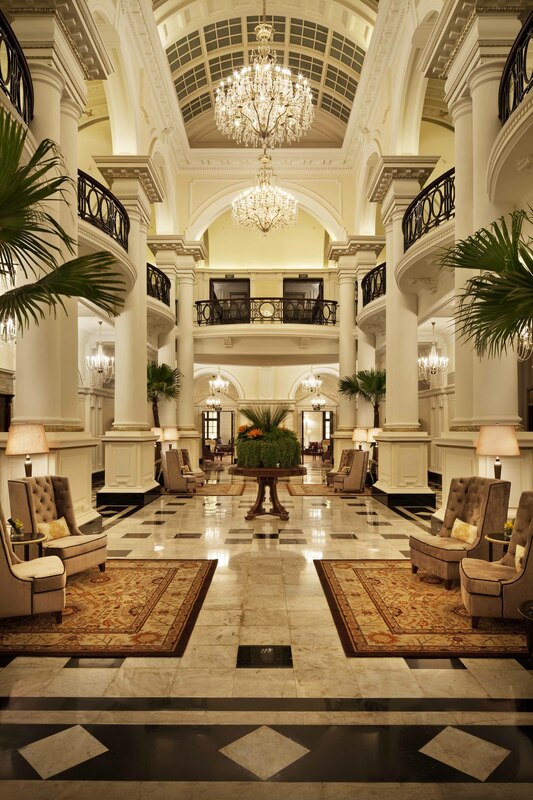 The Waldorf Astoria Shanghai is one of those masterworks: redolent with a complex social history. Its architectural antecedent was the famous Shanghai Club, and now, through the distillation of time, the old luxury abides with the new. The Shanghai Club, the principal Gentlemen’s Club for British residents of Shanghai, was founded in 1861. During the era of British rule in the 19th and early 20th centuries, Gentlemen’s Clubs were regarded as a central part of elite men’s lives. In 1864, a three-story red-brick building was erected, then torn down and replaced in 1909 with a new, six story building in a Baroque Revival design, that involved grand staircases, and opulent reception rooms, game rooms, and smoking rooms. Six Ionic columns hold the main façade in the Baroque Revival style, with the roof having two symmetrical Baroque style cupolas. The original architect was English, Bertram Tarrant, passed away before the building was finished. The completion was done by A.G. Bray, who designed some of the interiors, including the grand hall covered by a barreled glass ceiling with Italian marble columns rising to the height of its two floors. The Shanghai Club was replete with elite Gentleman’s Club amenities, expected at the time: the basement contained two bowling alleys, an Oyster Bar, a barber shop and two wine cellars. On the ground floor, there was a newsroom, a smoking room, a billiard room and a domino room. A huge dining room was at the top of Sicilian marble stairs extending along the entire Bund frontage of the first floor. Life-size portraits of King Edward VII and Queen Alexandra, painted partly by, and partly under the supervision of the Royal artist Sir Samuel Luke Fildes, were hung over the large open fireplaces. There were three other dining rooms on the first floor, as well as a library and reading room, another billiards room and a card room. The second floor of the Shanghai Club was famous for its Long Bar. It was an unpolished mahogany, L-shaped bar, 111 feet long, and became famous for being the world’s longest bar at the time. Gaining entry to the world’s longest bar back in 1910 was one social status objective of the time, but another was where the patrons were seated: those seated at the bar’s east end, facing the bright panorama of the Huangpu river and skyline were the well-known social elite; while lesser-knowns and newcomers were often relegated to the other end – no views, and it was said, a little darker. A massive Italianate Grand Hall was located on the first floor, with ceilings over 12 feet high. The Hall ended in a marble staircase, where elevators carried members to upper floors. On those floors, there was a smoking room and a library – reported to hold more volumes than the Shanghai Public Library – a billiards room, a dining room and guest rooms on the top two floors for resident members. In its heyday in from 1910 to the mid 1930’s, the Club was an exclusive destination. This era was post-Victorian, pre-World War 1 — a time where the British Empire ruled much of the world. But, world unrest caught up with Shanghai, and though the DNA of the Shanghai Club was to remain theoretically associated with luxury and the elite, those root systems were to remain dormant for almost a century to come. With the outbreak of World War II, the Shanghai Club was closed and occupied by the Japanese occupation forces. In 1949, the building was expropriated by the new Communist government of Shanghai, and it was converted into the International Seamen’s Club, catering to foreign sailors. In 1971, it became the Dongfeng Hotel. Then from 1990 to 1996 the first floor became the first Kentucky Fried Chicken restaurant in Shanghai. The upper floors were not used. From 1996 the building deteriorated, until the Hilton Group leased it in 2009. They began renovation and restoration with the help of archival photographs and records. 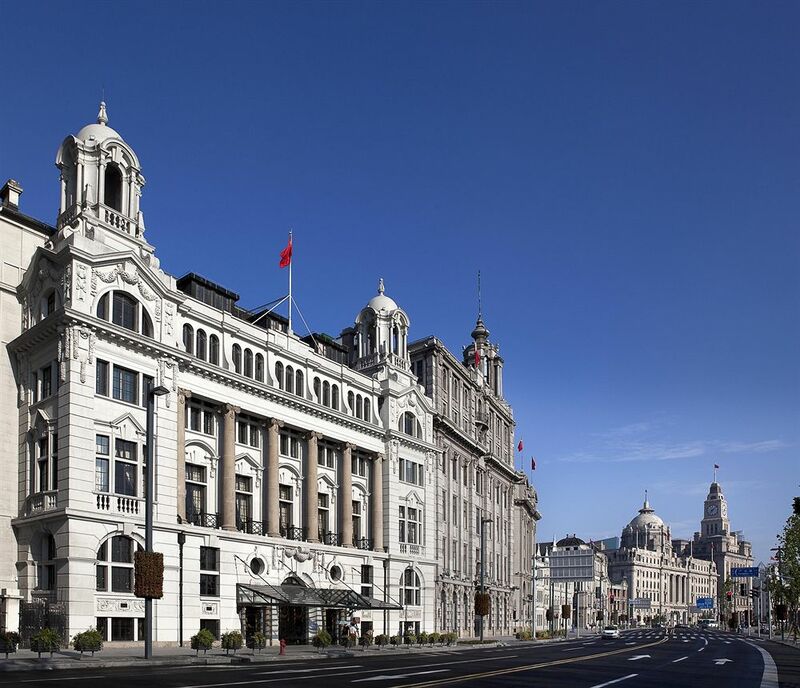 In 2010, 100 years after the Shanghai Club opened its doors, so again did the Waldorf Astoria Shanghai On the Bund opened its doors – with an addition. 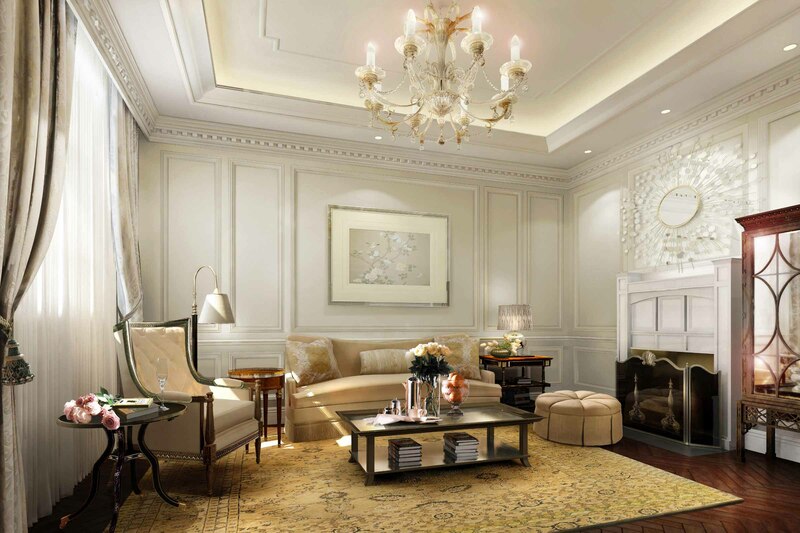 The Waldorf Astoria Shanghai on the Bund occupies two buildings: the original heritage building, once the Shanghai Club, now the Waldorf Astoria Club with 20 suites, and adjacent, the new Waldorf Astoria Tower with 240 rooms and suites. The Tower rises 24 floors, allowing guests the most spectacular views of The Bund, the Huangpu River and the Pudong skyline beyond. Connecting the two buildings is Peacock Alley, a promenade of luxury restaurants and lounges overlooking a landscaped courtyard. 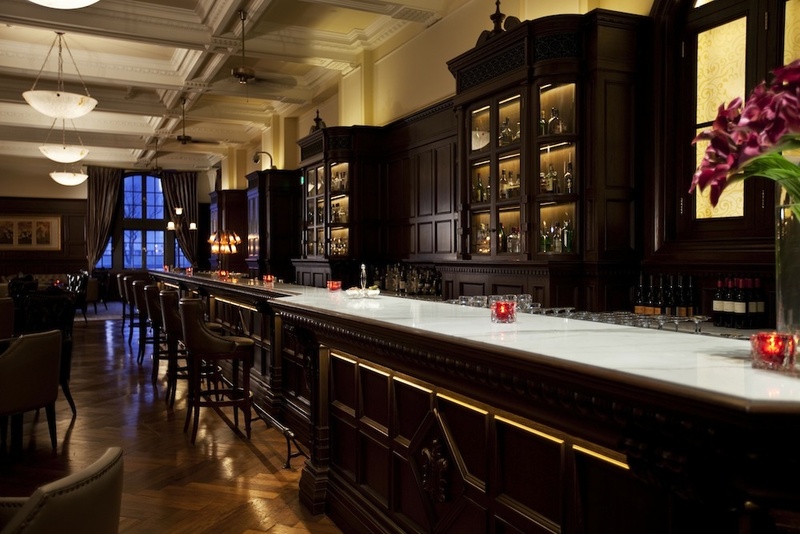 And, the Shanghai Club institution, The Long Bar has been meticulously recreated from archived photographs and features a replica of the famed bar counter as well as a separate Oyster Bar. Thankfully, the markers of social class have vanished, but the social ambiance of the Long Bar remains. The marble columns, stained glass windows and detailed wall panelling are among the elements of the original bar that have also been reproduced from archival photographic records. From the inception of the Shanghai Club to its evolution into the Waldorf Astoria, the century-long drama of architectural and social change are reflected in this building’s uses and changes. And yet, the building’s original DNA still lives. It is still infused with elegance and sanctuary, to be discovered anew with new guests, glad of its present worth, unaware of its clamorous history. Pursuitist wishes to thank www.urbanarches.com for allowing the reprint of this article.